The styrofoam screeches a little as you lift it out of the box, the clouds part, and angels sing choruses about how much easier your kitchen life will be from now on. Then it sits on your counter for weeks, reproaching you every time you start something on the stove or pull out that familiar, trusty slow cooker. Eventually, you grow brave enough to try it. 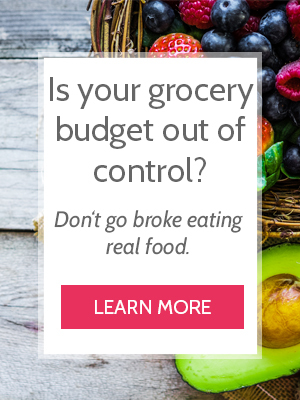 You download Katie’s guidebook, try several recipes, (affiliate links) and suddenly, it’s like you didn’t know what your kitchen felt like without the Instant Pot. Here’s the thing. We all know programmable pressure cookers are amazing. They save us time. They save our tails when we forget to thaw chicken for dinner. Or can’t think ahead enough to use the slow cooker. However, the miracle that is the Instant Pot has another superpower that few people mention. Discover the superpower on my guest post at Kitchen Stewardship! Picadillo (Mexican Beef & Potato Stew) – Uses ground beef! Can the Instant Pot Save You Money?